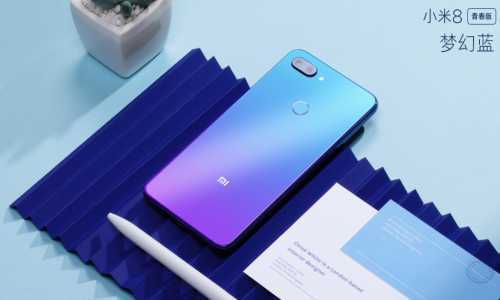 The handset maker company Xiaomi has released Xiaomi Mi 8 Youth Edition and Mi 8 Screen Fingerprint Edition during the launch event held in China today. Qualcomm Snapdragon 660 chipset is used for multitasking in Xiaomi Mi8 Youth Edition. Xiaomi Mi 8 meets the specification Mi 8 of the fingerprint edition. Xiaomi has given an in-display fingerprint sensor instead of the Mi8 Screen Fingerprint Edition Cafe panel. Now let us give you information about the specification and price of Mi 8 Youth Edition and the 8-screen fingerprint edition. Xiaomi Me 8 Youth Edition is priced at 1,399 Chinese Yuan (about 14,800 rupees). At this price, you will get 4GB RAM / 64GB storage variants. The price of 6 GB RAM / 64 GB storage variant is 1,699 Chinese yuan (about 18,000 rupees). In the top variant of Mi 8 Youth Edition, you will find 6 GB RAM / 128 GB storage. The price of this model is 1,999 Chinese yuan (about 21,200 rupees). This handset will be found in three gradient colors. From today, pre-orders have started and its sale will begin on September 25. Xiaomi Mi 8 screen fingerprint edition costs 3,199 Chinese yuan (about 34,000 rupees). At this price, you will get 6 GB RAM / 128 GB inbuilt storage variants. Mi 8 Screen Fingerprint Edition 8 GB RAM / 128GB storage variant costs 3,599 Chinese yuan (about 38,200 rupees). Like Mi 8 Youth Edition, u can also pre-order today for the 8-screen fingerprint editions. From September 21 this handset of Xiaomi i will be available for sale. Dual-SIM Me 8 Youth Edition runs on the Android Out-of-the-box based on MIUI. There is a 6.26 inch LCD display, you will get the Nokia design in the upper part of the phone. Qualcomm Snapdragon 660 AI Chipset has been used in Mi 8 Youth Edition for speed and performance. It will come in 4 GB / 6GB RAM and 64 GB / 128GB inbuilt storage variants. Now talk of a camera. Two rear cameras have been given in the 8th Youth Edition for photography. The primary camera sensor is 12 megapixels and the secondary camera sensor is 5 megapixels. Its archers are F / 1.9. The rear camera comes with Artificial Intelligence and Dual face -Detection Auto-Focus. The 24-megapixel Sony IMX 576 front camera has been given for selfie and video calling. A battery of 3,350 mAh is provided for power backup, which comes with Qualcomm Quick Charge 3.0 technology. Front camera for security comes with Face Unlock feature. You will get a fingerprint sensor on the back panel of the phone. This connector supports Bluetooth version 5.0 to connectivity. In Xiaomi Mi 8 Screen Fingerprint Edition, the computer has an in-display fingerprint sensor. This handset will be available in transparent back and gradients color variants. Other specifications are similar to Youth Edition. Let me know that in the 8 Screen Fingerprint Edition you can get the Snapdragon 845 processor and storage variants up to 128 GB. There is a dual 12-megapixel sensor on the back panel.